We can produce your passport photos for you in 5-10 minutes! We print your passport photos on real photographic paper with fade proof dyes rather than on an inkjet printer or using a Polaroid camera. The image quality is much better. and know what the passport agencies are looking for. If you don't mind waiting, we can send a digital copy of your passport photo to the Canadian Government for their guaranteed approval. This process usually takes ten minutes. I will print our their acceptance email for you to include with your application. the cost of this verification process is an extra $10.00. and pay the Town Clerk's Office $35.00 in either cash or check for the acceptance fee. If renewing your passport, simply fill out the renewal form, (available on their website which you can access by clicking the link below.) 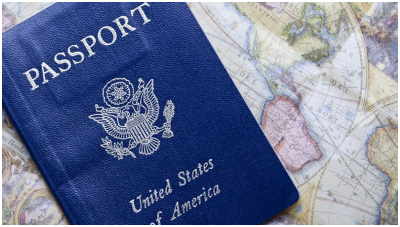 enclose your old passport. The cost is $110.00 only. there is no acceptance fee with renewals. in either cash or check for the acceptance fee. You can expedite your order for an additional $60.00 plus postage. 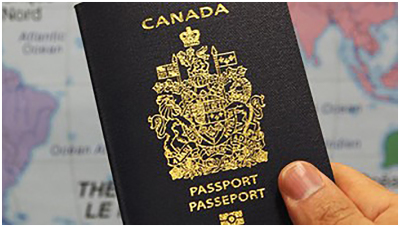 You will receive your passport in the mail in 3-4 weeks instead of the 810 weeks for regular applications. Check the passport website for most up to date and accurate info by click the link below.